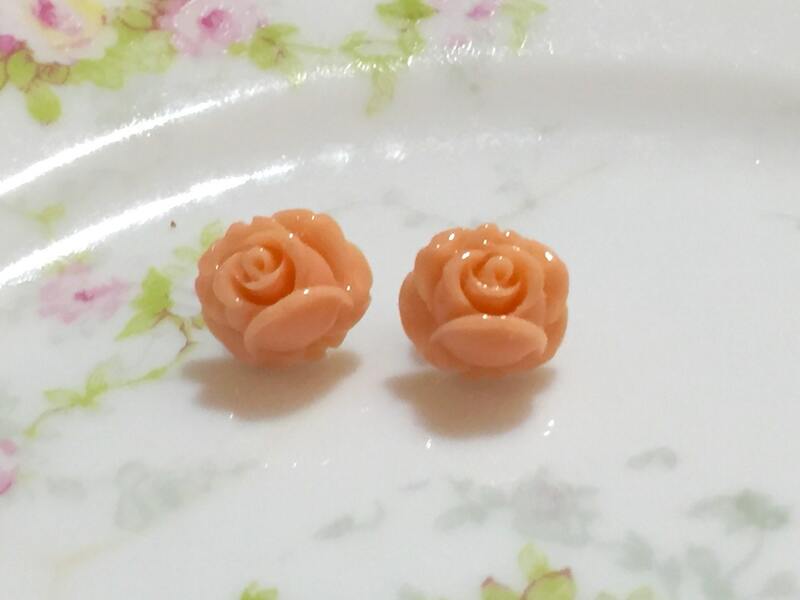 I am so in love with these pretty little carved rose cabochons. 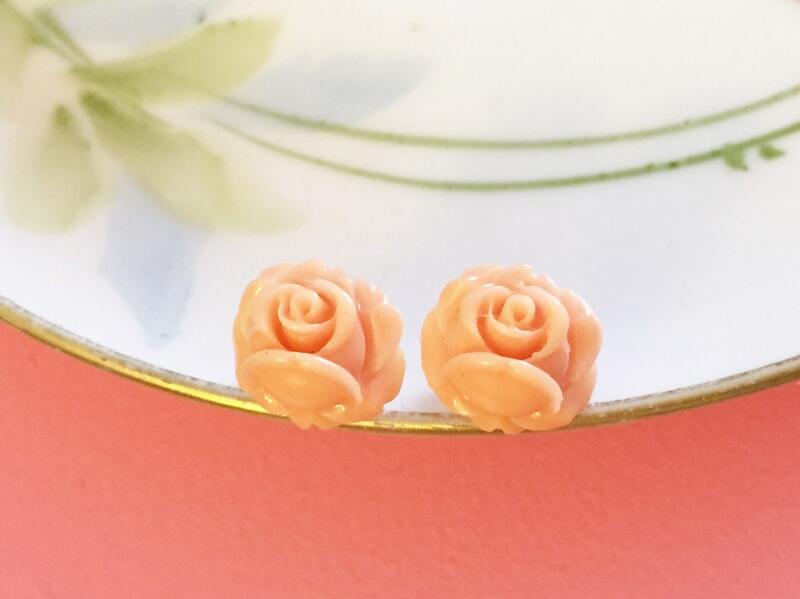 You are just going to love wearing them! 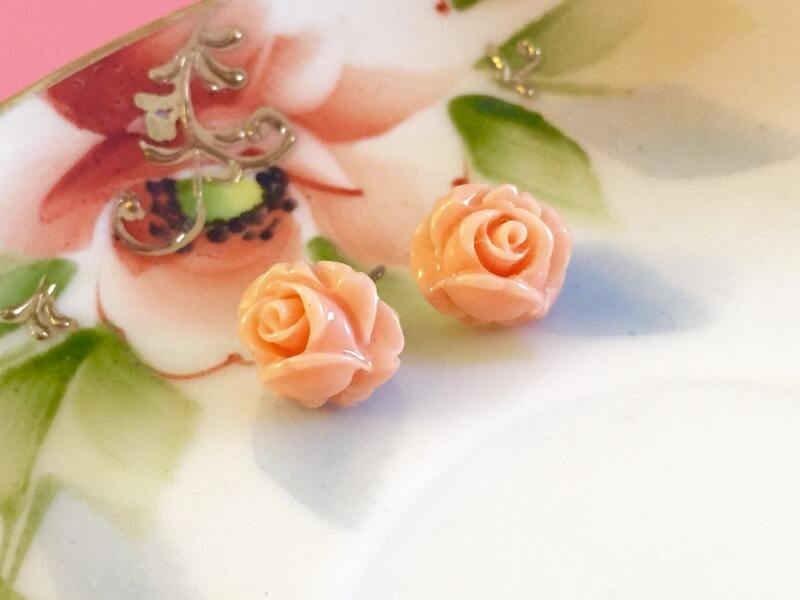 These earrings measure about 10mm (0.39 inches) and have been affixed to stainless surgical steel posts. 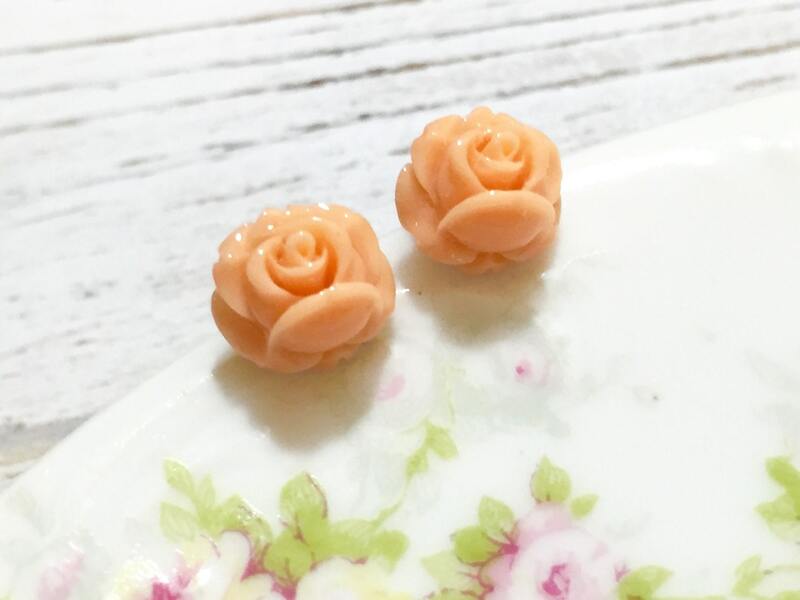 I have these in a few other colors so please check out my post earrings section to find the color that's right for you.